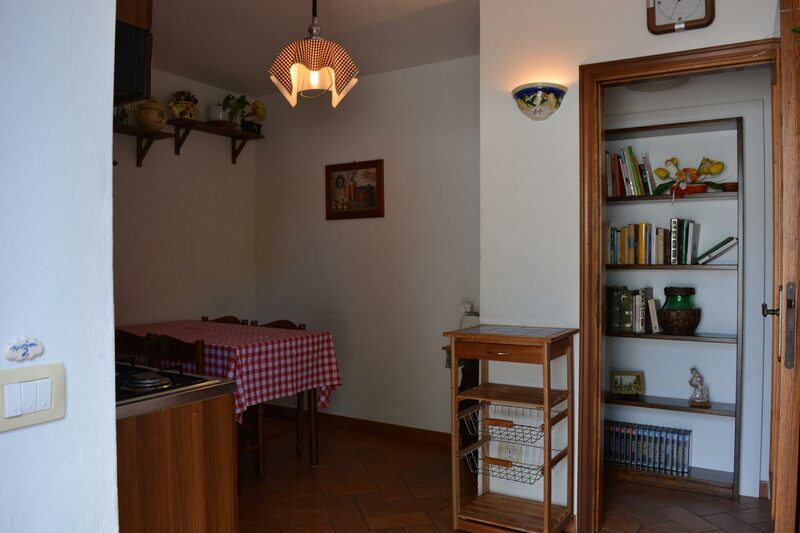 This apartment is perfect for large families (up to 6 people): Euro 80/100 per night breakfast included. This apartment is located on the ground floor and has its view over the courtyard. 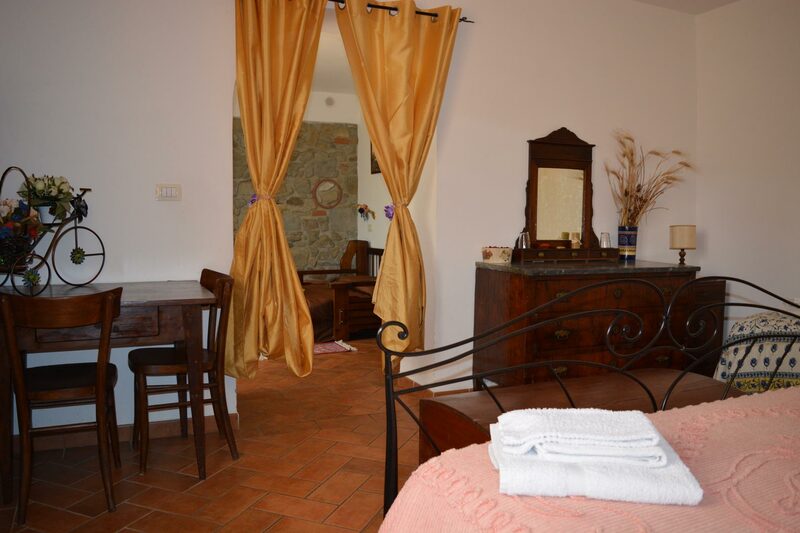 Furnished in the typical Tuscan style it has a wide kitchen with sofa bed, fridge, oven, TV, radio, two double communicating bedrooms, one with king size bed and the other with queen size sofa bed, bathroom with shower. 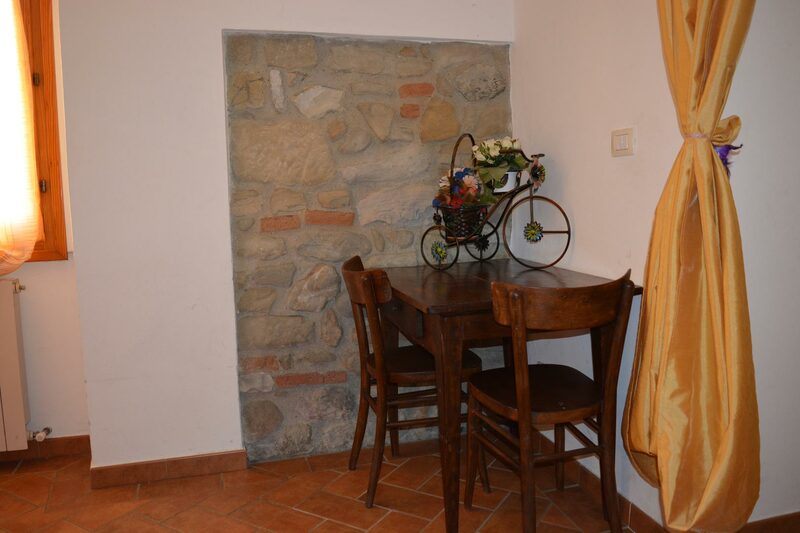 This is ideal for couples or for small families (up to 4 people).